Reverses polarity of a 2.1mm power connector, male or female. 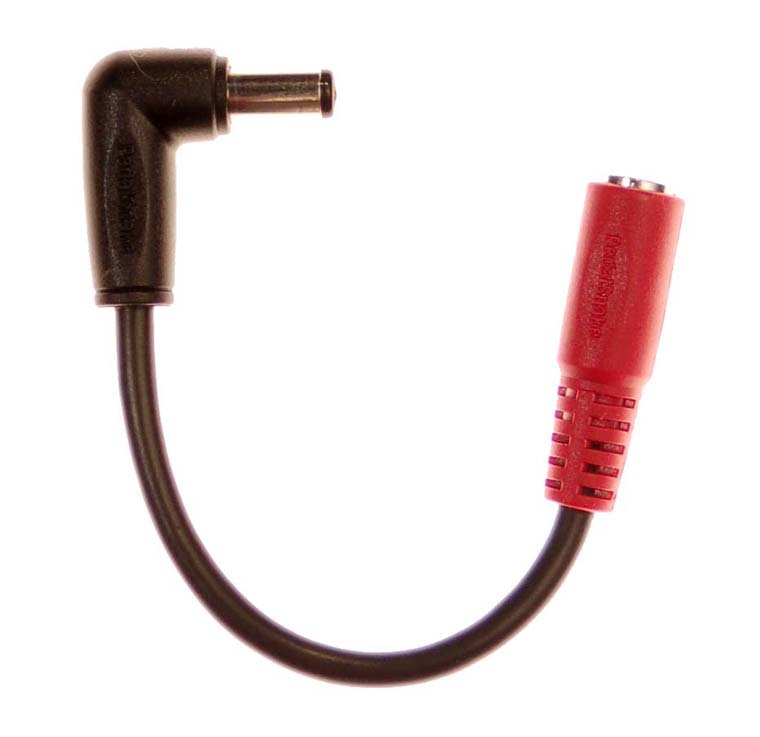 Reverses polarity of 2.1mm power connector, male or female. 1 female 2.1 jack, 1 right angle male 2.1 plug (with reversed wiring); about 3" long. Used to power 2.1 center-positive pedals (MoogerFooger, some Fulltone, etc.) from standard 2.1 center-negative power sources, like those from Boss, Dunlop, etc.